Girls maxi dress. This is the perfect summer dress! This girls' summer maxi dress is made from a soft knit fabric in a beautiful abstract print on a teal background. 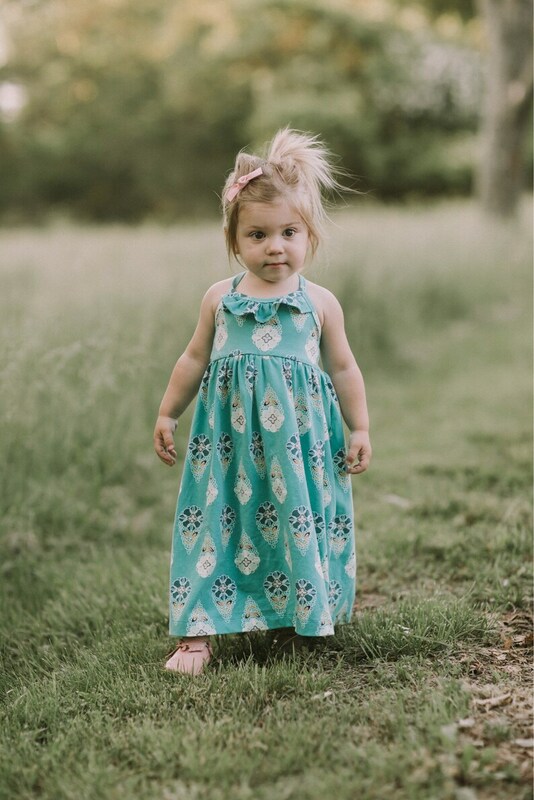 Available in toddler and girls sizes, the straps of this maxi dress cross in the back. A sweet ruffle accents in the bodice neckline. So well made, adorable, and fast shipping!